Grace and Ken Evenstad first arrived and settled in the Dundee Hills in the Willamette Valley in 1989. At that time, the couple had spent over 20 years together in Minnesota building a successful business, a loving family, and a deep appreciation for the wines of Burgundy. The Evenstads had faith in Oregon early on, before there was a national market for domestic Pinot Noir. When the time came to pursue their longtime dream of growing and producing world class Pinot Noir, they invested in a 42 acre hilltop estate that had just been logged in the beautiful Dundee Hills of Oregon. With the support of their family - and to the surprise of many of their friends in Minnesota – the Evenstads established Domaine Serene, effectively creating Oregon's luxury wine industry. They named the winery after their daughter, Serene, and their first vineyard on the estate was named after their son, Mark Bradford Evenstad. Today, Domaine Serene produces Pinot Noir from six vineyard estates, spanning three Willamette Valley AVAs, and Chardonnay solely from high elevations in the Dundee Hills. In 2001, the Evenstads completed construction of the picturesque, state-of-the art, five-level, gravity flow winery specifically designed to make world class Pinot Noir. Their sustainable vineyard management and winemaking practices are intended to maximize the quality of the wines and to ensure complex, balanced and elegant wines that are age-worthy. Since the first vintage in 1990, Domaine Serene has produced award winning wines, including Evenstad Reserve Pinot Noir, recognized as the World's #3 Wine of 2013 by Wine Spectator Magazine. 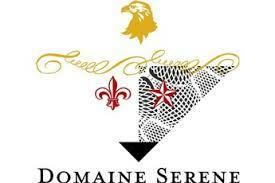 Through the continuous pursuit of quality and innovation, Domaine Serene has garnered global recognition as an iconic quality leader of Pinot Noir and Chardonnay. In April 2015, the Evenstads expanded upon their original vision of producing world class Pinot Noir and Chardonnay by purchasing Château de la Crée, a Burgundy wine estate in the Côte d'Or. Burgundy vintners have been buying vineyards in Oregon for the past 25 years, but now the Evenstads have flipped the trend. "Owning and farming legendary vineyards in Burgundy is a dream come true for us," says Ken Evenstad. "We have a once in a lifetime opportunity to make our own wines from famous vineyards like Morgeot in Chassagne-Montrachet, Clos des Angles in Volnay, and La Garenne in Puligny-Montrachet where world class wines have been made for centuries. Wine Spectator 95WS TOP 100 2013 Rank 3" A vibrant, focused and deliciously complex red, offering raspberry, cherry, cinnamon, mocha and subtle sage notes rolling through the long and expressive finish. Deft. Drink now through 2020.6,000 cases made. " Wine Spectator 92"Smooth and round, with a lovely polished feel to the dark berry, cherry, licorice and spice flavors, flowing easily over finely tuned tannins, persisting expressively. Drink now through 2016. 9,000 cases made."